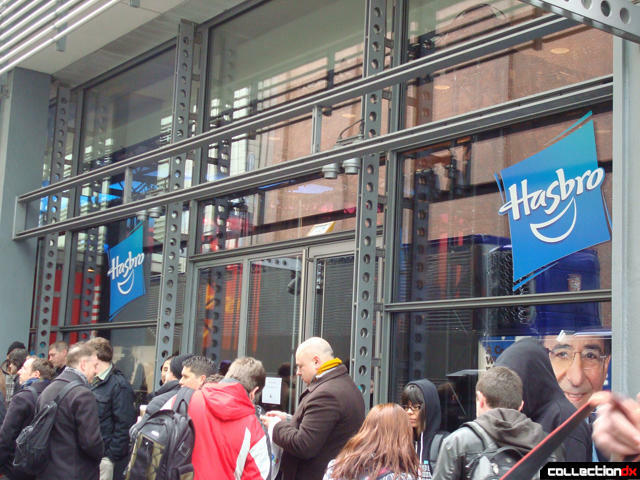 Our first stop in beginning our Toy Fair adventure was before the first day of the event at Hasbro's Private Showroom. 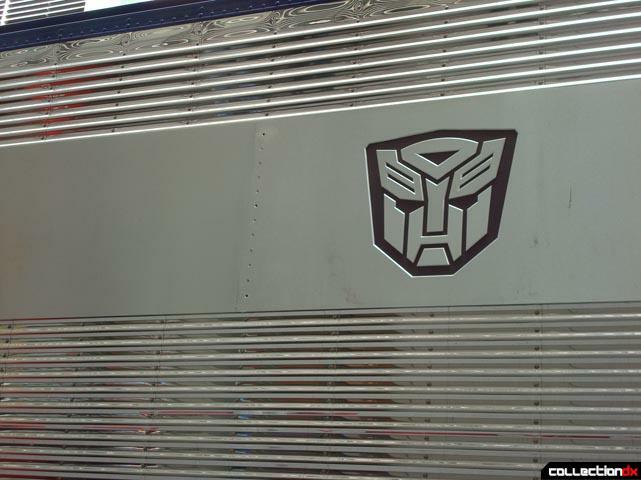 While we were waiting to get in we got a chance to check out our old friend Optimus Prime with his brand new G1-inspired trailer. 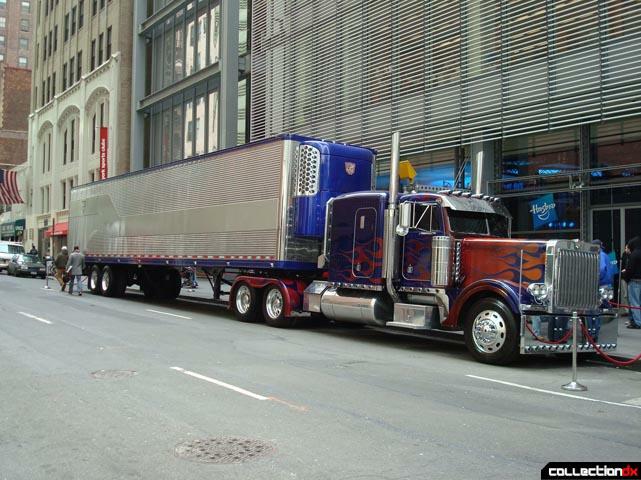 I couldn't get Prime to transform for us so I assume he was just tired from the long trip. Once inside it was obvious how big this event was. 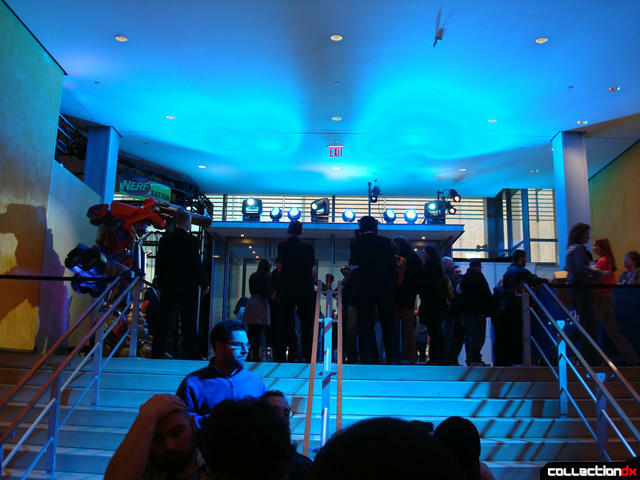 There were tons of people just itching to get inside and start tweeting away all the new info that was to be announced. 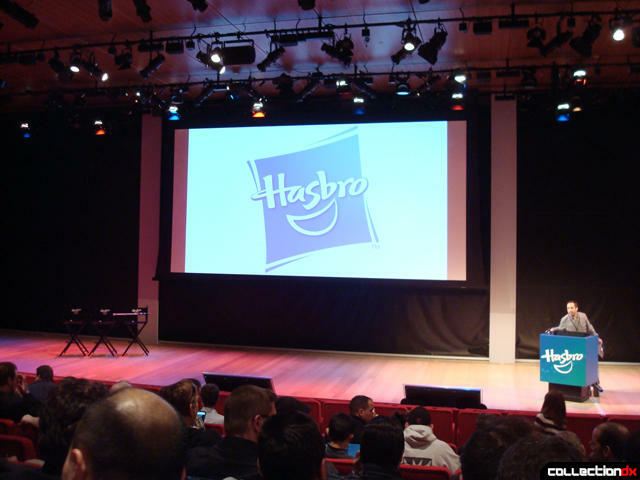 Once inside the auditorium, Hasbro would send up their representatives. Sitting behind us were the people from Takara Tomy of Japan checking out how their stuff is holding up here. Once it started and the conversation transitioned into the movie, the rep was quick to announce that Michael Bay was interested in keeping the movie true and not as goofy or filled with slapped stick as the previous. We'll see later on this year what the final outcome is. 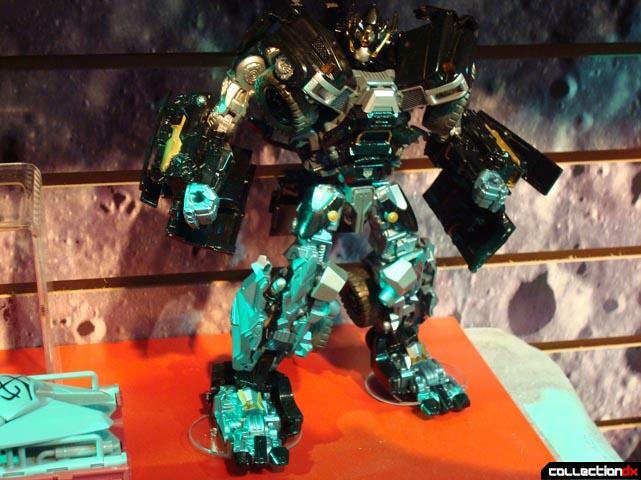 They mentioned the release of the Transformers Vault book which is the story of Transformers set to release 05/20/11. It seems Hasbro is really excited about this book release, and with good reason. 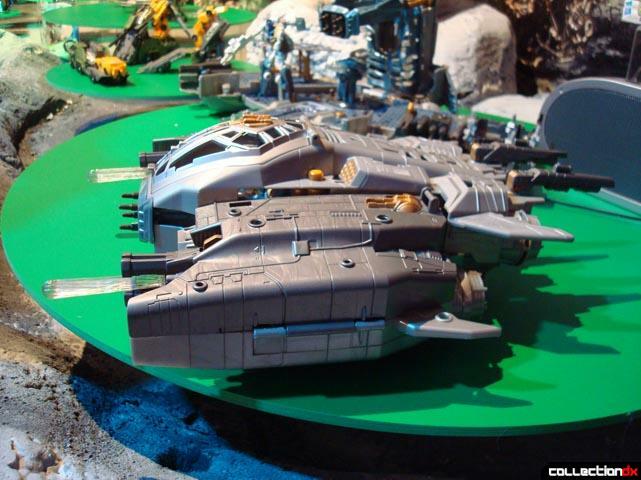 Another new line of toys they will embark on is the line of Kre-O building sets. Unfortunately, we were not allowed to photograph the sets. Although they did not mention Lego, they phrased the compatibility of their sets with the "other" brand in the most legal, nicest PR way possible. 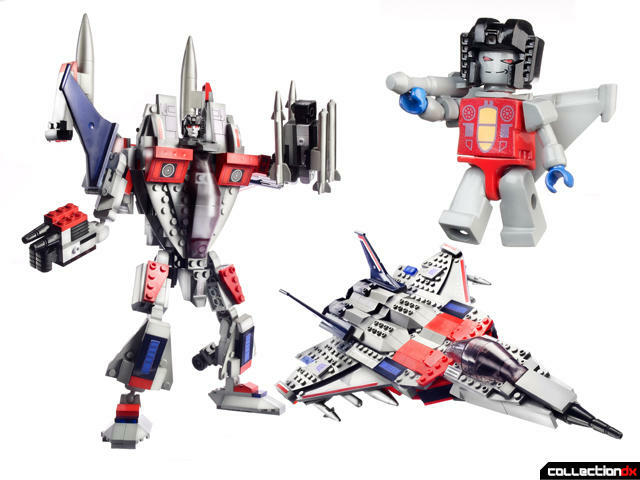 So this should be exciting for all you Lego fans and Transformers alike. 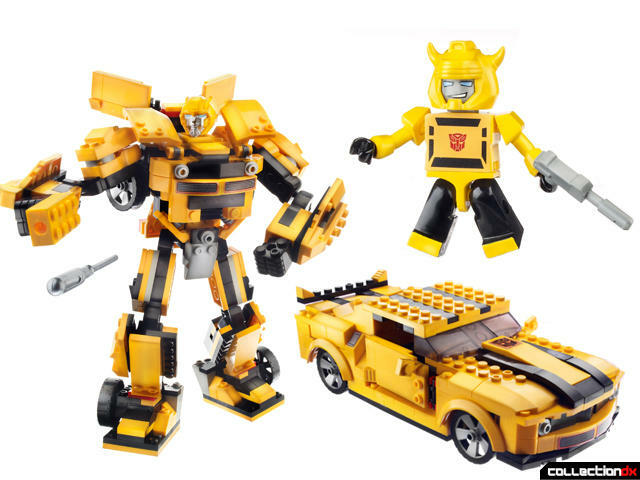 Among the sets shown was a 300 piece Bumblebee which includes all the pieces necessary to make robot and vehicle modes plus Kreon Mini-figures of G1 style Bumblebee, Red Alert, and human figures. 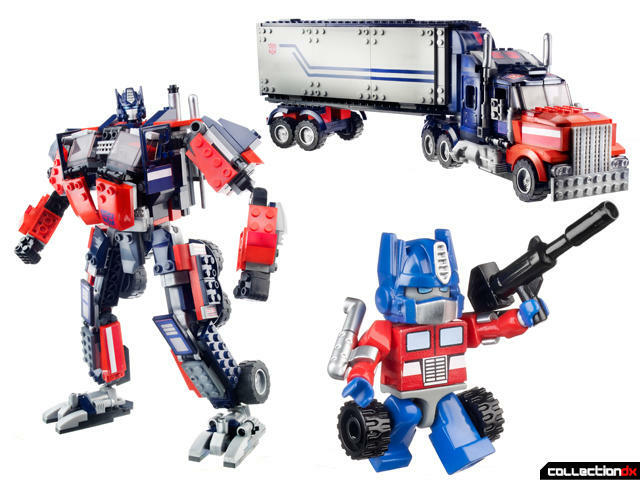 Also shown was a 500 piece Optimus Prime with trailer that opens to reveal two motorcycles and Optimus Prime, Bluestreak, and Skywarp Kreons, and a Starscream set with a Starscream and human Kreon. There will be a new line of Transformers Rescue Bots for the kids . 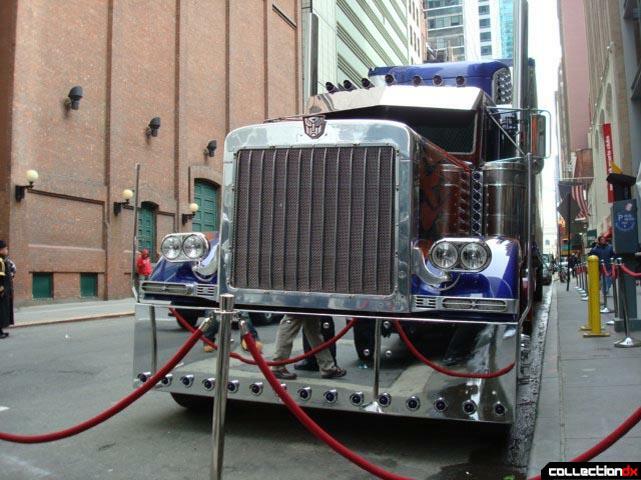 Also available before the release of the movie is the release of Real 3D masks of Bumblebee and Optimus Prime. You will want to make sure you grab these for the movie. Also mentioned was High Moon Studios' work on the Dark of the Moon game which makes use of the characters' Stealth Force features and takes place in various parts of the world. It should be pretty exciting. They also sat down with Jeff Kline and Mike Vogel who are the creative team behind Transformers: Prime. After the meeting, we got to check out the figures in person. You'll definitely want to check out the Gallery for all the photos we took of the new figures.Although there was no news or figures shown from Generations and Reveal the Shield, they did say that the Generations line will continue through 2011. Below is a sneak peek of some of the stuff we saw but you will want to check out the video and Gallery for an up close look at those lines. 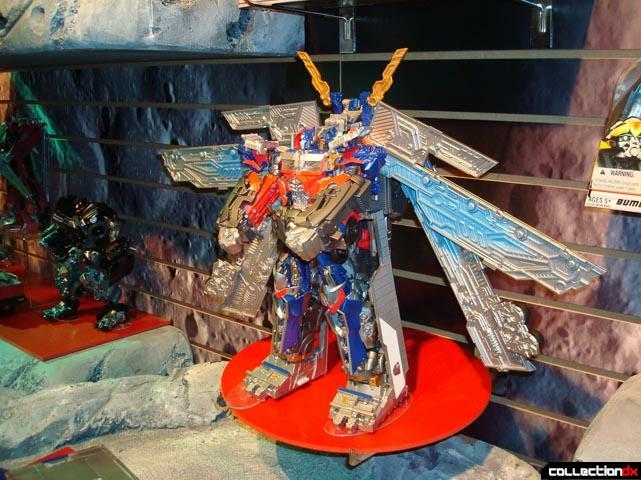 That being said, that Bayformers Prime you've come up with doesn't look too bad as a poseable building-brick toy. Okay, Chachi, I need some advice quick: Based on what you saw there, should I wait for DotM Deluxe-class BB, or shoot for Battle Blades BB now while I still can? Well, it didnt catch my eye at the event, so take that however you want. Although to be fair I'm not a big BB fan to begin with. 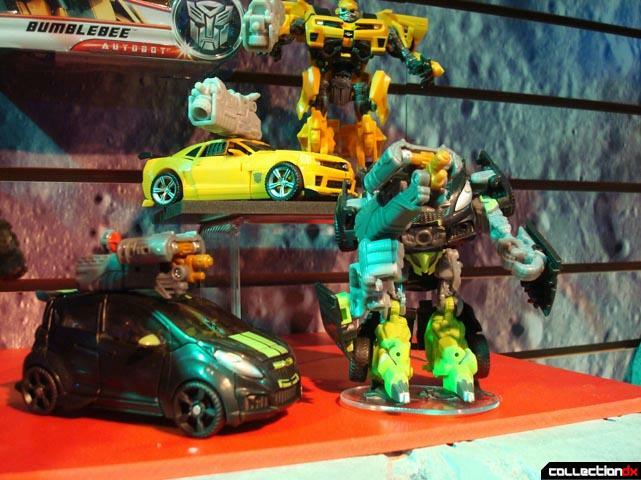 However I do have my sights set on the Prime Bumblebee. 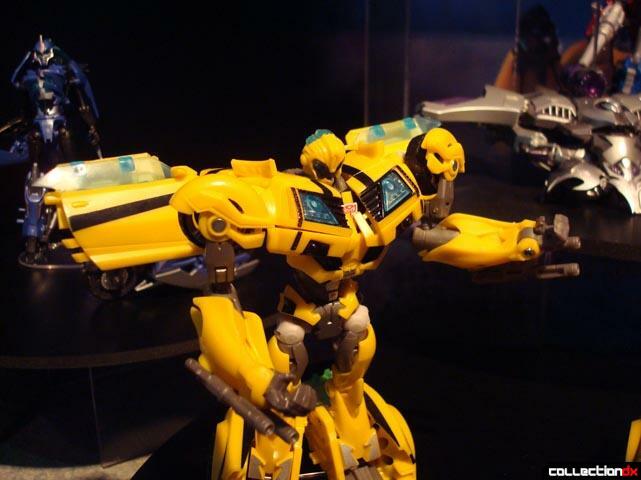 "...I do have my sights set on the Prime Bumblebee." Me too. 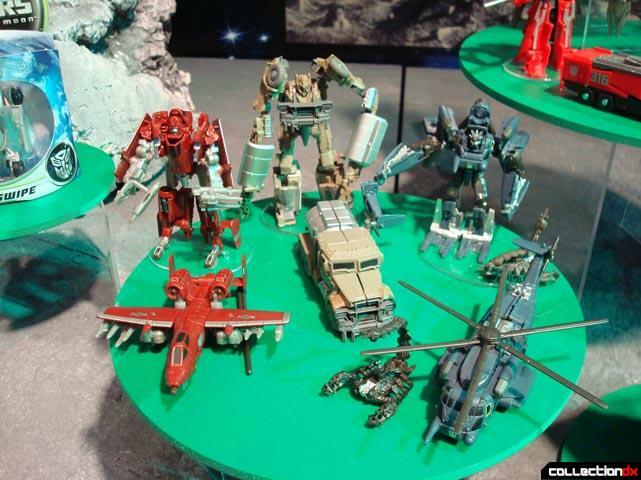 Most of the Prime toys look good... 'cept for Screamer's alt mode. 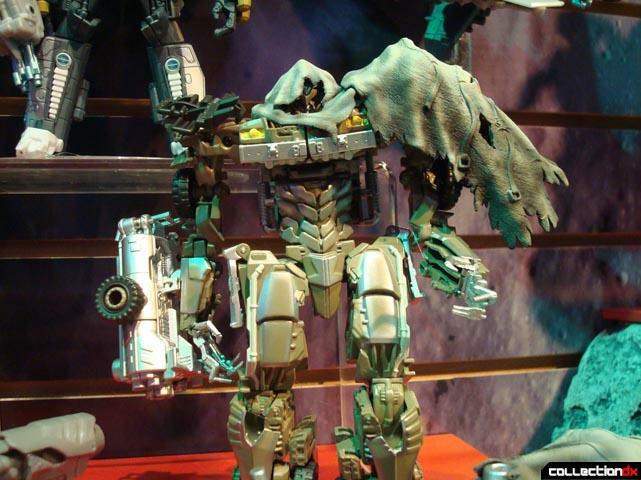 He's too thin IMO, but not in a 'creepy-skeleton' way like most Bayformers are. 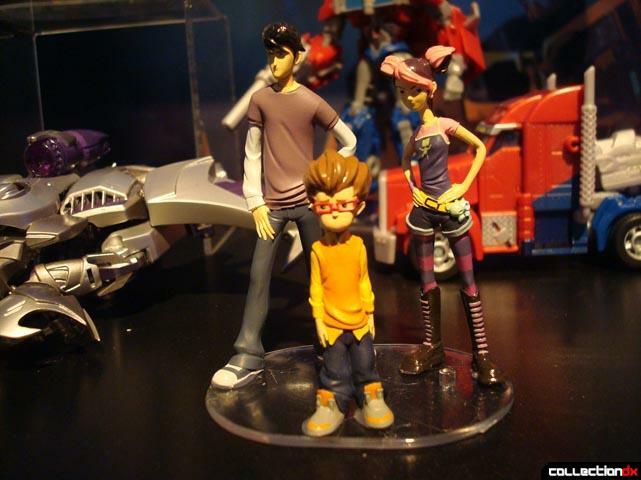 I'm questioning whether to get OP himself or not; that torso is kinda killin' me.